Add color swatches, images or text buttons to your variable products. 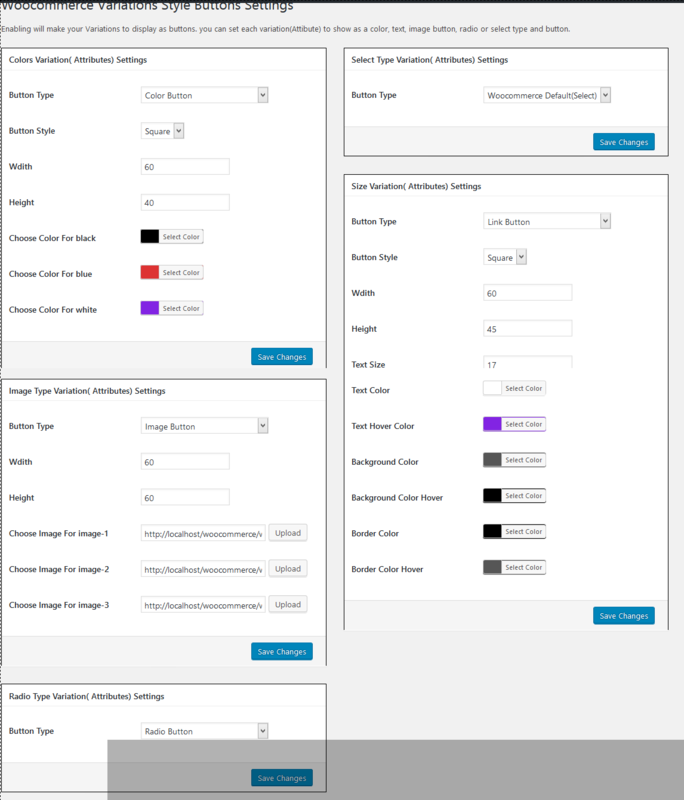 Highly customizable options to match your shop’s colors and style. 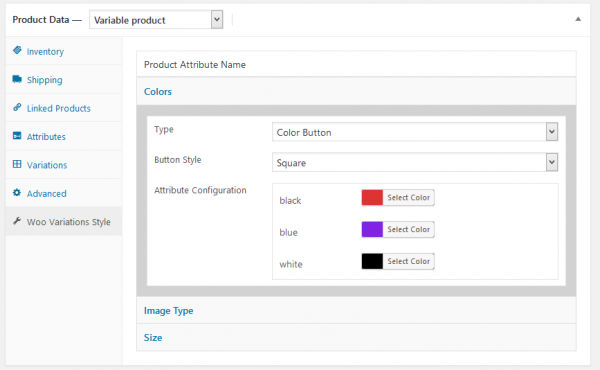 Woocommerce Variations Style Buttons are more friendly than dropdown selects. This plugin will help you have a better UX in your WooCommerce site, as your customers will see all your variations without having to click on a dropdown. It has all the features of the free version. Unique settings for each Variations. Unlimited different styles for Variations. Slider size, color, hover color change options. Great Smart Variations Style Buttons , Thanks for lunching an good plugins ! WP 4.9.9 and latest Woo with several plugins.